There is an incredible place in the United States, where some people are able to leave the depths of their despair, which has become the cyclic norm in their lives. These are murderers, thieves, people who sell their children for a fix, those whose lives consist of bouncing in and out of prison for ten or twenty years — or maybe for life. If they are some of the lucky few of the roughly 2.4 million people incarcerated in America, they’ve heard of a place where people can change, live a life of prosperity, and join the ranks of what might be construed as a “normal society.” This idea is only a fantasy to some of them — an unknown place over the rainbow because their version of normal is only what they’ve known their lives to be thus far. This special place is called Delancey Street, “Where Hitting the Bottom, Begins the Climb to New Heights.” Mimi Silbert, CEO, president and founder, is a powerhouse of positive energy that she shares with everyone she meets. She has helped over 18,000 people overcome poverty, crime and substance abuse addiction through her working business model. There is no paid staff at this two- to four-year program for the underprivileged, and it is considered the most successful rehabilitation program in America. Silbert came up with the idea when she worked as a prison therapist. One of the appreciative inmates stopped her on her way out the door one day and said that her advice was so helpful. Silbert’s philosophy is simple: she believes that there aren’t any bad people and there aren’t any good people — people are a mix of both. It is that positive belief that all people can pull themselves up, learn family values, learn cooperation, respect, and the skills needed to work within a society, that makes her model successful. They learn how to be positive team players. As soon as they walk through the door, they are told to leave their past behind because they are now working toward their future and their success. 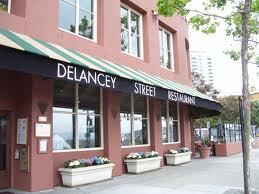 The Delancey Street Foundation has a 91 percent success rate with six campuses across the U.S. To achieve this rate of success in a place with no help from the government and no paid staff, Silbert starts her program by teaching the basic skills: reading, writing, arithmetic, social interaction, and most important self-respect. She says, “It takes about two years for someone to stop judging and hating themselves, and believe they have actually earned who they have become.” They have to get through high school exams, learn three marketable skills, and it takes about four years to go through the whole program. Many of the graduates ask to stay on. The question might arise, how does someone train more than 18,000 people without paid employees? Silbert started her project in 1971 with just four people in an apartment, a 1,000 loan and an idea based on cooperative family-type principles. People who held jobs outside the home would contribute money to the business. They carried that idea further; if someone could cook, they would run the kitchen; if someone knew construction, they would be in charge of building and fixing things, and so on. As they brought in more people, those who were established in the program would teach the newcomers. Those people would teach the next group that came in. Within two years, they were able to buy their first building in the poshest neighborhood, Pacific Heights, and had 80 residents all living together and helping each other. Because of their locale, there was a problem with the neighbors who weren’t so keen on having criminals living next door. Silbert solved the problem by starting a neighborhood watch and volunteering the services of the residents living there — crime levels dropped. The building was remodeled by the construction crew to keep property values current or better. To raise funds for the reconstruction, the group sold raffle tickets in the neighborhood promising they would “not move next door to you.” Almost 20 years later, when they finally moved to their newly self-built housing on the waterfront, their humor and good neighbor attitudes had won everyone over, and the Pacific Heights neighbors were now sorry to see them leave. Silbert’s model works because she focuses on what people “can do” not what they’ve been through, how they were raised, or where they’ve resided in the past for whatever crimes they may have committed. All that is left at the door when they step through the portal to this new world that they have only heard about or have seen on TV. They learn that they can change, they can trust people, and they can be responsible, which in turn builds self-respect and self-esteem based on whom they have become. The Delancey Street project has grown through businesses run by these people who once felt they had nothing to contribute. The cornerstone business was a fine dining establishment. The community has grown to include a café – bookstore, catering, private corporate car service, digital printing, specialty advertising, handicrafts, landscaping, a moving and trucking company, a paratransit service, a movie screening room, and selling Christmas trees and a decoration service. Foundation is the perfect classification for this business. How many lives have been changed by the strong foundation that Mimi Silbert has provided for these individuals? How many more of the 2.4 million people, struggling in a life that seems devoid of hope, could be changed by her model project? This entry was posted in Be a Social Entrepreneur, POSTS, WRITING and tagged Be a Social Entrepreneur, crime, Delancey Street, Diane Walters, drugs, Mimi Silbert, Pacific Heights, poverty, prison, prison therapist, rehabilitation, San Francisco, Social Entrepreneur, substance abuse, The Delancey Street Foundation. Bookmark the permalink.